A sustained campaign focused on increasing export work is reaping dividends for a specialist UK manufacturer. Alloy Wire international (AWI), which supplies more than 60 different ‘high performance alloys’, has seen overseas sales grow by 10% in 2017 and now sends its products to 55 different countries across the world. Norway has seen the largest increase, followed by Hong Kong and Taiwan, with Italy, Belgium and Mexico all represented in the firm’s top ten hotspots of client locations. The export boom means 52% of the company’s £8.5m turnover is now outside the UK and this could increase further with the appointment of three new agents in Brazil, Indonesia and South Africa. “We have always been an international business and we wanted to step this up in 2017 by doing everything we can to support our network of 45 agents,” explained Mark Venables, Managing Director of AWI. He continued: “Over the last six months, we have also spent a lot of time translating our websites, making sure they are easier to read when international customers are looking for a potential supplier. 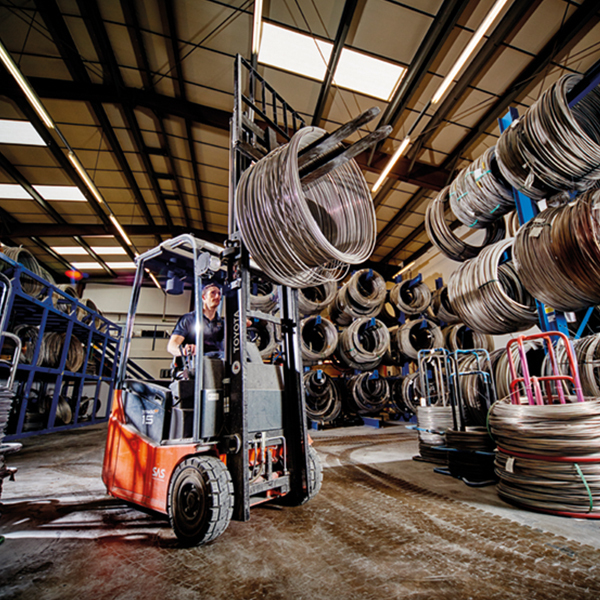 Alloy Wire International makes round, flat, shaped and electrical resistance wire in a range of material that is growing by the month, with more than 60 currently available to choose from. Operating from sites in the Black Country and Yorkshire, the firm stocks in excess of 180 tonnes of material, which allows it to offer unrivalled lead times of three weeks from the order being placed. For further information, follow @alloywire on twitter. Article, as featured in Stainless Steel Focus magazine, Manufacturing Management, BQ Live, Wire First, The Manufacturer, Production Engineering Solutions, Black Country Chamber, International Wire & Machinery Association and BDaily.